Elite IAS Academy imparts IAS coaching in Delhi for Civil Services. We are a team of mentors (teachers), with long years of experience in teaching as well as expertise in our specific subject-matter. Our team has been exposed to top-notch IAS coachings in Delhi, have created value for those coaching institutes. We, at Elite IAS, provide quality IAS coaching in Delhi at an affordable price. Bibhash Sharma and Sanjay Singh need no introduction; a veteran with teaching experience of more than 15 years, and hundreds of students selected under their guidance as IAS, IFS, IPS, IRS and other allied services. Bibhash Sharma, a vibrant and encyclopedic personality; specializes in Social issues and social justice. Due to the academic background in Sociology, he leaves no social problems unturned, explaining the basic reason for the existence of such issues. He also teaches Sociology optional subject in Elite IAS. Sanjay Singh energizes the class at different levels with emphatic and in-depth knowledge of History. His application of scientific technique helps students understand, memorize chronological order with historiographic significance. He also teaches History optional subject in Elite IAS. Gautam Kumar has the uniqueness of teaching polity with all sort of contemporary correlations. He also teaches Public Administration optional subject in Elite IAS. Vishal Singh, a genius of Geography – unfolds the nitty-gritty of geography in the simple but effective pattern. He also teaches Geography optional subject in Elite IAS. Bijendra Kumar Singh takes the credit of electrifying and inculcating economics & economy with minute details along with its contemporary trend and relevance. He also teaches Economics an optional subject in Elite IAS. Delhi is considered as ‘Mecca’ of IAS coaching and we are one of the proud leaders. We take pride to acknowledge the efforts of our mentors – their dedication towards teaching, and sincere efforts to nurture our students to excel and be successful in Civil Services exam. We are the only institute in India to keep all our courses “interactive” – with dedicated teachers’ support. This is only possible because we are a TEAM. We have a marvelous combination of experts in a form of team. We motivate our students under bureaucratic discipline and nurture their aspiration under the careful guidance of academicians; frequent interaction with our successful students in Civil Services examination. Success is bound to come – we believe and make them realize through hard work in the classroom and home assignments. Dedicated to Civil Services Exam: We are 100% focused on the preparation of Civil Services Examination. We conduct classes for Prelims, Mains and Interview. During classroom coaching, Class Tests are conducted at a regular interval – this strengthens students’ concept & clarity. To give the final touch to their preparation we conduct ‘All India Test Series’ for General Studies as well as optional subjects. This helps our students to evaluate their preparedness with All India Ranking, as well as focus on their weak areas. Thus, with this holistic approach, we train our students to be successful. Our whole course is result oriented. Classroom Communication: Teacher will deliver lectures on concerned topics to develop clarity i.e. Explanation & Discussion of Topics. This will be supported with dictation, and/or hand-outs/reference materials. Answer Writing: In our coaching, we are very much focused on developing answer-writing skill. We consider that it is relatively easier to understand the subject-matter but need lots of writing practice under careful guidance to develop answer-writing skill, as per the demand of UPSC. Latest pattern of UPSC mains exam has become very demanding – they want their candidate to express their view/analysis in limited words i.e. maintain brevity. And this is a learned skill – we train our students for this. Unit Test: Units covered in the classroom will be assessed with the Classroom/Unit test at regular interval. 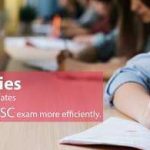 All India Prelims and Mains Test Series: All foundation course students will be entitled to our All India Prelims & Mains Test Series for FREE of cost. Experienced Teachers: We are a team of mentors (teachers) with long years of teaching experience. It means students will learn, understand, practice answer-writing under the careful guidance of well-experienced teachers. Online Platform: We provide User ID & Password to all our students. Here you can access value addition materials i.e. extra updated study materials, current affairs etc. Staff Support: Outside Delhi students can contact us for the arrangement of hostel/room. Our staffs will facilitate you to settle down properly. Management will monitor and take care – whenever required, until the time your course is in progress. Elite IAS is a symbiosis of experts, including successful academicians, bureaucrats, and senior students. The purpose of such a varied amalgamation of experts was to provide practical and to-the-point ‘Success Tips’ to civil services aspirants. Elite IAS is engaged in providing “Online Mock Test Series” for Prelims and Mains. Candidates located in Delhi can appear in all test series at our Mukherjee Nagar center between 10 am to 3 pm anytime. Online Test Series: Take your test online anytime for your comfort. We provide the explanation for each answer (not just a, b, c and d type answer). Panel on the screen of a computer which shows all questions in different color scheme indicating which questions are answered/unanswered/marked for review. During the online mock examination, a candidate can review or change their answer any time. Moreover, he/she can also mark any answer for review at a later stage. Online platform (Interface) with Login ID & password. Value Addition Study Materials (Read online or download). Mains Test paper will appear on your web-page on scheduled day and time. Download Mains Test Paper, Online. Written answer-sheets should be scanned (you can scan via mobile) and directly uploaded to our website (Just login & upload). You can see your uploaded answer-sheet in our display section. Model answers to every question. The main purpose of this platform is to provide ‘quality test series’ to Civil Services aspirant at pan India level at an affordable rate. Make them evaluate their preparedness before UPSC evaluates them. In brief, we facilitate you to plug your loopholes. You may be well prepared for the examination but if you haven’t gone through rigors test series writing sessions, believe us, you are half prepared. Writing test series helps you to go through the simulated experience of the real examination. You are exposed to a variety of questions, some questions may surprise you the way they are twisted. You might have studied the topic well but hadn’t thought of such angle. Remember, if you are able to write (manage) the answers properly in the limited time frame. You are doing well. Other of this, writing test series also helps you to develop the skill of time management and content management. In other words, it forces you to use most relevant/important points (practice priority technique) in your answer and leaving other information; regular test writing inculcates time management skill in you. All candidates enrolled in our Course are entitled to talk to our expert teacher at the specified time regarding their study related problem.